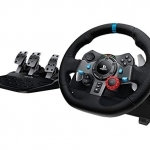 Due to the popularity of this topic and the confusion surrounding setting up steering wheels, I will be updating this current article to assist gamers in enjoying their various other wheels on PC, PS3, and Xbox360. If you post a comment about your wheel experience, be sure to say which platform it is for. I’ve been in contact with a lot of gamers in the racing community regarding what works and what doesn’t. I decided to put together a table showing wheels that have been confirmed working. This list is being built by you, for you. Your feedback is encouraged to help fill out this list and correct user error. Comment with your experience of wheel or pad and which platform you play on at the bottom of the article. Since wheel issues are a huge TDU2 topic right now, I’ll start with some tips that should help eliminate a good portion of the trouble everyone is experiencing. Steering: Both PC and console users should set ‘Steering Sensitivity’ to the left. It appears to be backwards. Console Users: Turn off other controllers on your PS3 or Xbox when attempting to use the wheel. Software: PC users, be sure to use your wheel’s profiler/setup software. Driving Aid: A game option that is on “full” by default. May make your wheel feel like its reacting strangely. Try both off and on. 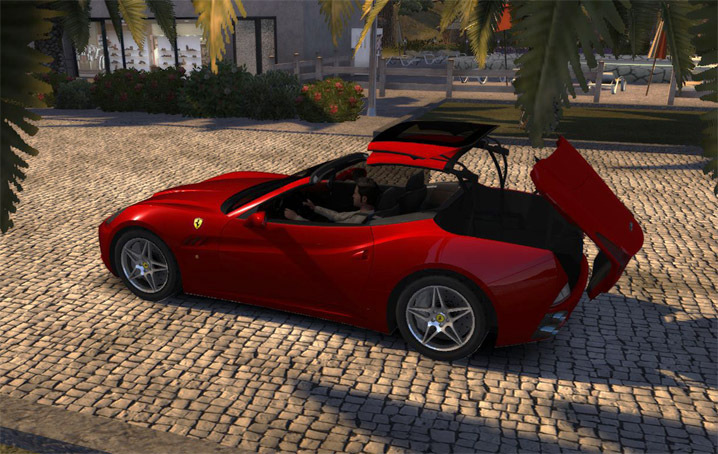 Rotation: TDU2 allows for custom wheel rotation settings up to 900°. 200 is the normal setting for this game. Set this up in your wheel profiler if your wheel supports it. Car’s Wheel: Don’t compare the car’s wheel turning to your physical wheel. They probably won’t match. TDU1 could show 1:1 steering between the in-game wheel and a PC wheel, referred to as wheel linearity. TDU2 does not. Pedals (PC): Logitech, Fanatec, and Thrustmaster wheels have both a combined and a separate pedal option. TDU2 utilizes separate pedals. Set this up in your wheel profiler. If your car is revving and not moving, this is the problem. Gearbox: By default, TDU2 is set to Automatic transmission. If you wondered why your shifter or paddles are not working, you need to enter Options > Game Settings and select Sequential, H-Shifter, or H-Shifter and Clutch. Global Settings: Logitech users: Make sure global settings don’t override game settings. This concerns combined pedals, degrees of rotation, and FFB strengths. G25/G27 owners refer to my global settings guide. Vibration: Vibration settings may sound like a ‘rumble’ feature but turning it down means you won’t feel anything when driving in a straight line. Fanatec Owners: A grinding noise has been reported when Fanatec wheels are centered. Until a patch is issued, one user suggests setting controller linearity to the left and setting the Fanatec sensitivity setting to 360 or more. Fanatec Owners: It’s reported that the clutch doesn’t work. Can anyone confirm this is cross-platform? I know it’s happening on Xbox360. General: You cannot connect a wheel while the game is running. Plug it in then restart the game. General: Make sure no other controller devices are plugged in. General: If applicable, be sure you have your wheel powered in addition to USB cords. Game Wont Recognize Wheel: At least one of every wheel that is confirmed to work has not been recognized by someone’s PC version of TDU2. 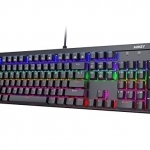 This includes Logitech, Fanatec, Thrustmaster, and Apollo. This problem seems widespread around the community and no known cause has been identified (yet). One user tried multiple brands of wheels, none of which would be detected by the game. Most users have overcome this by manually setting up their controls. To switch from Keyboard controls to one of the game controllers, go to the “Controls” section in the options menu, select the button “Detect Device”, and scroll through the options to select and validate your device. Of course, support is not limited to only these devices. TDU2 includes automatic device detection and allows you to map your buttons any way you want, but so far the results have been spotty. It can be quite the task to setup your controls for the first time, since there are more functions available than keys to support them, even on the Logitech G27. In addition to the standard fare like “Return to Road” and “Change View,” you have to find a good spot for horn, windows, roof (if applicable), radio on/off, radio volume, turn signals, and even seventh gear. Like TDU, the sequel allows you to choose your shifter style- paddle shifters, H-shifter, or H-shifter with clutch. It also brings back linearity and sensitivity sliders. However, these sliders don’t necessarily improve the experience. The biggest difference between the first game’s control scheme is support for force feedback. The original game dropped the ball on that one and had no FFB after being patched to version 1.66. The force feedback itself is nothing to write home about and certainly sub-par, especially when compared to Shift or Grid. I guess in a marketplace littered with games having no feedback support at all (Hot Pursuit, Blur, Split Second), things could be much worse. from what I found some people have, like me, the problem that they don’t have any force feedback on their Logitech Momo Wheel, except some rumbling. The solution is prety simple. 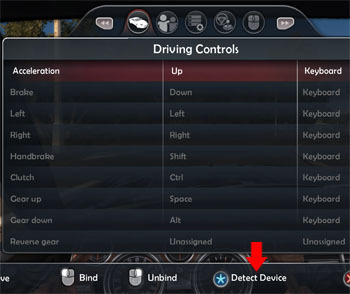 I was always wondering why it says joystick on my control settings so I suspected TDU 2 doesn’t support force feedback for joysticks. So my asumtion was that TDU 2 doesn’t recognice my Wheel with the current driver as a steering wheel. To solve this I downloaded the latest Logitech profiler pack from their homepage and extracted it with WinRAR. Now I just had to update the driver for the Wheel by opening the device manager and selecting the driver file manualy from the folder “lgs510_x64\2b-LGS-x64\Common64\Logitech\WMDrivers” of the extracted profiler. After that TDU 2 recogniced my wheel properly as a Steering Wheeln and finaly I have force feedback. I hope this help’s others as well. I have a problem about Saitek 4 in 1, i dont know if it works on TDU 2 or if irt even works on Windows 7. someone help me please! I have a G25, it will not allow me to use my brake pedal, it simply tells me its all ready assigned as the accelerator!?!?!?!?!?!?! HELP ME When binding the axis, its says combined pedals in the accelerator box, but when I want to bind the brake pedal it says that, its binded with accelerator!!! what do I do??? Running it on a PC with Windows 7. the g25 works great with other games even tdu 1 ! Ronnie you should be looking at the G25 article for this game. The link is in the very first sentence up top. You have your wheel setup wrong. I have a rather unusual problem with my Xbox 360 controller and TDU2. I can play with my Logitech Steering Wheel Perfectly fine, but I cannot take that to University, everytime i go into the game select car etc. I cant even drive because everytime i press the accelerate trigger and it crashes. Its the same everytime, and im really out of ideas, I really dont want to use the keyboard. Some help would be appreciated. That is odd, since the XBOX 360 controller is officially supported. Do you still have your wheel plugged in at the same time? I would first make sure all other stuff is unplugged from the PC, then I would test the controller in another game of any sort, and then finally remap the controller to see if it’s settings got corrupted somehow. In some instance, games that crash leave a log of the error. I am not sure if TDU2 has this, but I would go looking for it if the crashing continues. My steering wheel and all other devices have been unplugged, its very confusing. Ive even tried remaping the accelerator and brake to a linear button (A and B) but it still does the exact same thing. The controller works perfect in NFS Shift 2 and Burnout so there isn’t any fault with the controller. Also the when it crashes I usually have to Force Reset my computer, as i cant end task Test drive, i can get to taks manager and everything but it doesn’t terminate. That is a wicked error. Only other option I can recommend is to uninstall and reinstall the game. I would test the controller as soon as the install finishes, without patching or changing anything else. I would also try to launch the game in a windowed mode. That’s usually helpful when game crashes are interfering with your PC usage. I have a logitech steering wheel (Momo). When i try to open it with logitech profiler the game just doesnt open. If i open it regularly from the shortcut in desktop it opens but does not recognise the wheel as its not opened with the profiler. Are you sure it’s getting power? I’m not sure about a MOMO, but the G wheels spin around when you plug in the USB. If the wheel is getting power, it definitely sounds like a bad installation. If you plug in the wheel USB cord, the profiler should launch automatically (and go away when you unplug it). I would uninstall the Logitech software and reinstall the newest version. Sorry, I’ve never even heard of that one. If you can get it working please confirm here and I will add it to the list. Picked up the Thrustmaster Ferrari GT Experience steeting wheel because it stated right on the box that it worked with ALL PS3 Racing games. Returning it today as that is a false statement. This wheel does not work for TDU2. Thanks for the heads-up Scott, I have updated the list. sorry Scott you have say ALL PS3 games but what about pc is the same or not? 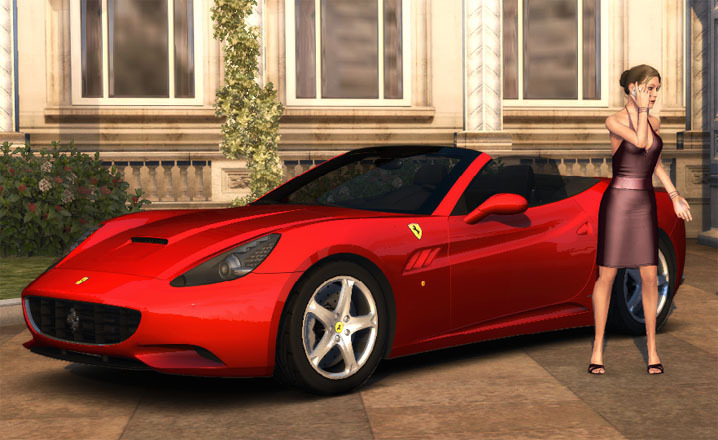 is playing the Thrustmaster Ferrari GT Experience work on the tdu2 on PC???? Andreas, according to the research that I did across a lot of message boards when this was first put together- people could manually get the wheel setup somehow but not have force feedback. Whether this means they edited game files, downloaded a key mapping program, etc, I do not know. And Thrustmaster Ferrari GT Experience doesn’t work on tdu right??? Anybody out there that can help? I have gembird MX-V9 and i can’t play the game ..why ? Would a thrustmaster ferrari 458 italia wheel work with this game? Well, I got the Game, and it doesn’t recognize The Thrustmaster 458 Italia Wheel as a Wheel, But if you configure it as an Xbox 360 Controller, It works Brilliantly! You have to turn up the sensitivity quite a lot but it works, Glad i took the risk. Excellent, thanks for the update and glad you got it working. I have s Super Sport 3X racing steering wheel and the gearbox doesn’t work at all. And the H shifter, and clutch doesn’t exist in the game. Don’t tell me that. 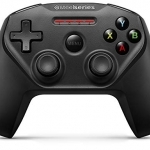 By the way the PC instaelled its driver and recognize it as a XBOX 360 gamepad. Please help. Thex in advance. Oh and I forgot I have PC version of the game but I can use my whell with XBOX 360 and PS3 as well. Hey, is there anyone know how to configure G27 button on TDU2 (PS3)? Until now on, I have trouble finding “square” button, “L2”, “R2” button on my G27 steering wheel. I can’t sell my car, or zoom in or zoom out on map, also I can’t use right & left botton to select radio. Can anyone help me with this problem? Thx. Sorry Joy, dont think you will find help for that here. That’s a different wheel from a different company and a different game system. 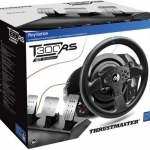 I can’t seem to get my Thrustmaster T500RS Wheel to Work with Test Drive Unlimmited 2 on PS3? Thristmaster Support page list this game as compatible with the steering wheel? Just got a quick question, is the logitech G920 and the logitech driving force shifter compatible with this game on Pc?